TimeShift: Which Here, Which Now, Which Me? As time – and this shift we’re all the way into now – continues, I have been having some curious experiences. Maybe you too? Let’s be honest – it’s getting strange around here! Today I’d like to share something that happened last night, as a “sub-event” of an ongoing situation I’ve discussed here before, being, the triad sleep cycle. I’d been up for hours, starting around 2AM. Watched some video online, read a bit… then started to doze. I seemed half awake, half zoned out (theta? ); it’s an odd state that is becoming more common; not really asleep. Anyway, suddenly I’m aware that I am “sleeping” in the bedroom I grew up in, and was “awakened” there, in the darkness, by someone’s footsteps in the hall. This was absolutely real. I was waking up “decades ago” in the house I grew up in. Except part of meknew that the bed I’m supposed to be in, in “this reality,” is the one I sleep in here in this lifestream. So I did something rather odd… don’t know where this came from… but I started trying to relate to/connect with my here/now body by shaking my leg! So from a neighboring dimension, my light body made a concerted effort to jump from there/then to here/now by “engaging” my here/now leg… which went from effort to sudden success (I suddenly had my left leg kicking!) and at that point, was fully integrated here. This intrigued me in regard to the “infinite selves” in “infinite time/space dimensions” we apparently occupy simultaneously in this quantum hologram in which we live in so many parallel existences! Including many versions of us in THIS life, living in all kinds of situations based on the many choices we’ve made along the way. Apparently, as I’ve heard many times now, our lives split off into various versions of ourselves when we make major decisions, like marry/not marry someone, or move/not move somewhere, or attend/not attend some school, etc. Some part actually DOES have these experiences… it is just in a simultaneous parallel sub-plane of this one (or perhaps this is a sub-plane of that! … or maybe all are equal :). Add to this the “simultaneity of all time,” and all our other incarnations, and all their parallel sub-plane existences, and – well! – it gets very very wild to try to imagine! I remember once as an adolescent standing in the upstairs bathroom of the family home, brushing my hair, when a woman in white walked right past the open bathroom door, in utter silence. I mention the sound factor because this house had wood floors that always squeaked and rumbled when walked upon. There was no such thing as silent passage there. But this female form just glided by the doorway and frankly startled the life out of my young self. Moreover: I had the notion at the time that that woman was MY FUTURE SELF passing through! How my 11-year-old mind came up with that, I have no idea. And also – I have no conscious awareness of myself experiencing the other side of that scene (as a grown woman walking through that hallway while my kid self was preening in the mirror). But this came to mind today as I pondered my “waking up” in that bedroom last night, with footsteps in that hallway, and my knowing that I needed to time-shift myself back to this time-stream and place. This experience also brought to mind the idea of the assemblage point, which is known mostly in the Toltec tradition, but now energy healers are working with it for healing purposes as well. Carlos Castaneda wrote about the AP as a small energy ball that exists in the human energy field, right behind the center of the ribcage, suspended behind the spine back there. My understanding of the assemblage point is, it is a ‘connector’ or ‘tracking mechanism’ that keeps us plugged in to (or assembled in) a particular time/space within the hologram. Presumably, then (and I’m just groping here! ), other aspects or versions of ourselves have slightly different assemblage points associated with them, to keep them fixed in their respective placements. I did a tiny bit of googling re: assemblage points earlier today, but didn’t find this particular aspect of them discussed, and didn’t pursue it further before posting this. But – assemblage points – an interesting piece to this puzzle? How timely was it that this came my way right in the wake of the previous post? Most anyone who reads this blog is likely aware of Dr. Mercola, a Chicago-area MD possessing the most active and vocal voice I know for complementary medicine and wholistic living. Mercola just posted an article that succinctly sweeps through so much evidence of how completely backwards this society is (a society in its death throes for these very reasons), I decided to link to it here. I encourage you to please read it in its entirety to further anchor in your consciousness how REVERSED the intentions of U.S. corporate dominance are to the sustenance and well-being of virtually everything, everyone, and all we hold dear in this country and beyond. This dominance includes the extensive network of mass media that spoon-feeds millions of undiscerning minds information geared to scare the crap out of them (which spontaneously unplugs one’s personal power), then promise that if they “do this” (whatever “this” is in the moment) they will be saved, relieved, fixed in some way… when in fact they are being led to slaughter while forfeiting all their personal power and rights over to those out to serve only themselves: the unrepentantly greedy owners of corporations (and their banks). I realize I’m sounding harsh here, but this is as serious as it gets and I am in a mood to Speak It today. I also urge you to grasp the importance of tuning in to your highest wisdom that is calling you (us) to get lucid in this dark dream and CEASE unconscious acceptance of a corrupt mass-media machine’s mirror-world messages, all possible consumer support, and complacent allowance of this literal insanity from our reality. Read Mercola’s important article on this upside-down world here. 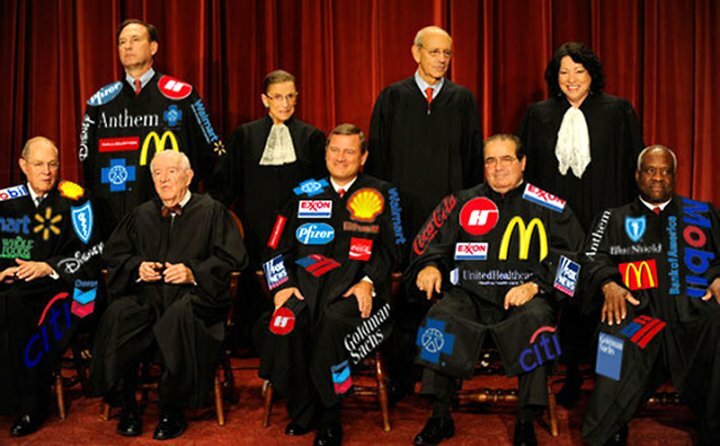 And by the way, because I’m on a role… have you noticed what’s become of the “highest court in the land”? In the hologram which is reality… WE ARE THIS. The alarm has been wailing for years, there is no time left to float merrily along in a sea of total deception. To create something else is to un-create – unplug – the mechanisms of miscreation. It all boils down to conscious choices, personal and collective. The last few days have been “interesting.” I seem to be in a new cycle of energetic activation and thought I’d post about this because if I’m “in it” like this, I suspect others are as well. The real “amperage” seemed to kick in three nights ago, when I was awakened by a rude and crude astral visitor who literally inflicted physical pain on me to, presumably, wake me up. Maybe also possibly to irritate me into action – plenty of which I was about to get. Now, a seeming irony here is, I had requested assistance from “upstairs” on a challenge I’d been having, before retiring that night. Wanted to state that detail before continuing as I will return to it later. So: I’m rudely awakened quite literally. Next I find myself swept into a disturbing situation in a lower 4D (astral) realm. In this place, and in this particular bandwidth of awareness, I became instantly aware that I had a very frightening and large parasite attached to my crown chakra. I’ve decided against sharing a lot of detail here because I’d rather not feed the thoughtform! But this thing was burning and stinging me, and had a lot of hooks sunken into me. My immediate task was to get rid of it, which – cutting to the chase – I did. All very challenging and upsetting – this was dire! If one’s crown chakra — one’s lifeline to one’s higher self (vision, inspiration), Source Creator, and Life itself — is blocked as completely as mine was by this dreadful thing, something serious could happen in short order. So after doing grizzly battle (ech!!) on my own behalf, the attached entity was not only dislodged but finally rendered dead and in pieces on the ground. This was intense stuff, and I spent most of the next day with a nauseating migraine and feeling quite shaken up. I also did much energetic cleansing of myself and my space. The night after that, I felt for the first time in a while “the energies” humming in my body. Nothing else to report re: this other than it was happening. This isn’t unpleasant (actually rather comforting), and I just took it to be a little lightbody maintenance after recent events. One vignette while “out” – I was with an old friend checking out a “structure” that had a dilapidated old staircase in need of either extensive repair or replacement. We discussed this in a lighthearted manner, looking forward to fixing these ‘stairs’ because most of the rest of this ‘structure’ had already been prepared for ‘inhabitants.’ I take all this as symbolic of the kind of work many lightworkers do in the other realms while their bodies rest… tending to details pertaining to the shift. We are shifting into higher realms in an unprecedented wave here, and the troops are building bridges (or stairways ;) to serve the cause. Much of what happens “there” is interpreted through metaphor, etc, for the human mind to relate to. But the concepts are sound. Anyway – last night was very positive and I was in good form once again after the perils of two nights earlier. So you might wonder why, after requesting assistance the other night, I was painfully harassed awake and then swept into this dark astral event where I had to fight for my life? I believe that was my assistance. I was rudely awakened in a way that signaled my entry into an event I had to face and stand up to, myself: somehow someone had managed to rig me with that thing; I had no conscious cognizance of this, but my psycho-emotional state was in a nose dive for no known reason. I had to go into darkness so to speak and deal with it at this level. This isn’t the “love and light” stuff you might expect to read in ascension-oriented material. This is an example of some negative form or force wanting to cripple or even kill one of the good guys. Lightworkers (for lack of a better term) draw attention to themselves by virtue of their noticeable light shining through the murky astral realms, irritating the locals. I’d been feeling better and clearer after my recent move to this area (perhaps making me more conspicuous? ), and also gearing up for a new “Light Project” when suddenly over the last week or two I have felt something distinctly off in myself. I was on a downward spiral so sudden, steep, and fast, I became alarmed and – three nights back – requested assistance to remedy this situation. What I got was visceral awareness of the challenge; I worked it out to successful conclusion, and … onward ho! I wanted to share this for a couple of reasons. For one: the lower astral realm is in a tight and agitated squeeze with all the dimensional merging going on… AND it has just received tens of thousands of terrified new inhabitants in the wake of the Haitian earthquake. I imagine few of these souls possess a keen awareness of afterlife realms or how to navigate them. Most of them are likely dazed and confused … possibly not even clear yet that they’ve dropped their bodies. Their spirituality may have been voodoo-oriented as well; a rather fear-driven practice geared to controlling people or events. In other words: lower astral. These souls need our affirmative prayer to help them flow to their right place to receive care and rest after their ordeal. Most prayers going to such events are focussed on the survivors, but the dead are in every bit as much chaos, if not more so, because they have the extra data to deal with, being – they died! I have no idea if the recent commotion in the astral had anything to do with my sudden acquisition of that thing in that realm… but I do want to encourage anyone with any inclination to help, to clearly AFFIRM (as opposed to request politely! be affirmative!) that all souls involved in the Haitian earthquake be found and lovingly tended to in the afterlife realms. Similar events are likely to follow, so please join me in getting something of a routine in order to help out when needed. I have another point to mention as well. The sun has recently entered a new, very active, “solar flare” cycle, after an unusually long period of dormancy. This brings extraordinarily powerful electromagnetic bombardment to the earth and all who live here. This is exactly the kind of atmosphere that can cause kundalini to activate… or amplify if it’s already “going.” If you are an empath, and/or your energies are suddenly going like gangbusters, the solar activity is likely the reason. The sun is INTEGRAL to the whole ascension process, as it receives the galactic photonic flow and assimilates and disseminates it to the local solar system. This can trigger various shifts in your energy bodies as well as planetary bodies! If you have protocols (homeopathics, herbs, excercise, etc) that provide comfort, have them available, as the show is on the road. NOTE: For more on the astral plane, you might check this blog’s dedicated page on the subject. Also search “astral attachments” online for plenty on this subject. Yesterday I posted a vignette about my recent ‘avian enchantment’ experience. This morning I’m pondering how life is so much about one’s perception. I tend to perceive a lot of “magic” in the world, and by this I do not mean I fantasize about things that aren’t there. I perceive what’s there that most people tend to not register at all. Why is this? Why do so many people march through their days and nights in such a perfunctory fashion, not noticing so much of the “magic” that shows itself in abundance? For instance: I’ve recently moved far out into the country, to a remote but quite special little community. Since being here, I’ve had a variety of experiences that have reignited the sense of wonder in me. The spontaneous visitation by a zillion birds of all colors and song (last post) was one. Another: Exploring the woods out back here, I came upon a … what to call this … the word “village” comes to mind so I’ll go with it — a “village” of crystals of quite substantial size and a variety of shapes on the ground amid the trees. They certainly had an energy about them, a kind of “life,” and there were many of them together in a fairly large area of the woods, seemingly unassociated with any homestead in the area. It was quite an astonishing discovery to come upon amidst a forest bed of autumn leaves! I leaned against a tree and took in this sight, wondering how it “happened.” Then I asked “the group” if it would be acceptable to bring one of its members with me to grace my new home. I was overcome with happy tingles and took that as a positive response… so now I have one of its clan as a roommate. Also while here in my ‘new land’ I discovered what was once obviously a road, or private lane perhaps, now grown over… but once upon a time, maybe a century ago, someone planted trees in rows on either side of a space just wide enough for a car (or horses with a wagon?) to travel, one way at a time. I stood there, “enchanted,” imagining who created this road? When? Where did it go? Some relic of a long-gone homestead, from decades before the current community settled in here? I couldn’t explore this little find as much as I’d like because it is cut off by an existing private road that wends back into who knows what. One more example for this post. Driving along a fairly well traveled county road, I came upon a perfectly renovated schoolhouse from the early 20th century. It’s a beautiful large white building that had to have had several classrooms in it. It is surrounded by beautiful landscaping, complete with a pond and even little statues and fountains. 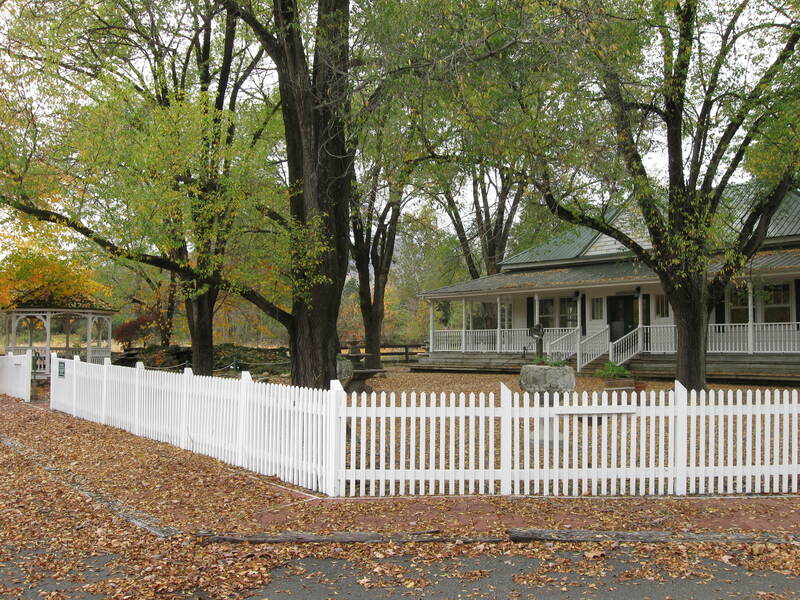 A white picket fence delineates the land, and the original school bell still graces the front. A huge porch reaches all around this amazing – and empty – historic building. Spotting this while driving by, I had to pull in and look around! Turned out this schoolhouse had been repurposed as a restaurant that had not survived the economy. Researching it online, I learned that a couple purchased the schoolhouse and land, spent two years bringing the old building up to code plus added incredibly beautiful touches re: landscaping and a large adjacent greenhouse in back where they could grow their own produce (tho they apparently intended to turn it into another dining room). After two years of loving labor and investment, the restaurant itself was open less than a year. So while the situation is rather sad, the schoolhouse and its environs are totally charming, and to behold the scene and ponder its past as well as imagine what it could become in the future delight me to consider. Mentioning this schoolhouse later to my neighbor, I was floored to learn he had never even noticed it. And he’s lived here for years! I had to go back with him in tow to expose him to its charm. He loved it but how could he live here and never have noticed it before? My guides once told me that dimensions don’t just reveal themselves to you merely because they exist; they reveal themselves when one acknowledges them. As I’ve shared elsewhere, I have been aware of – and open to – various dimensions and beings who occupy them all my life. Life IS magic by its very nature! I am greatly enjoying my recent re-acknowledgment of this fact in this enchanting new land I currently call home. Enchantment rises to meet you when you are receptive and appreciative of its existence! Enjoy the magic. Interact with the wonderousness of life; it’s the best way to expand its presence, not only for you personally but for the planetary collective consciousness as well. Imagine that. Had a rather amazing experience recently. At home one afternoon… I became aware of a LOT of bird-chirping going on outside. Looking out the window I beheld something truly spectacular in progress: hundreds, if not thousands, of birds had suddenly converged in my immediate environment! Birds of all varieties there were, as opposed to, say, a flock of one type coming down for a rest or a meal. It was as if every bird of every specie from within a 10-mile radius had suddenly been impulsed to land on my house, yard, and trees, all at once. 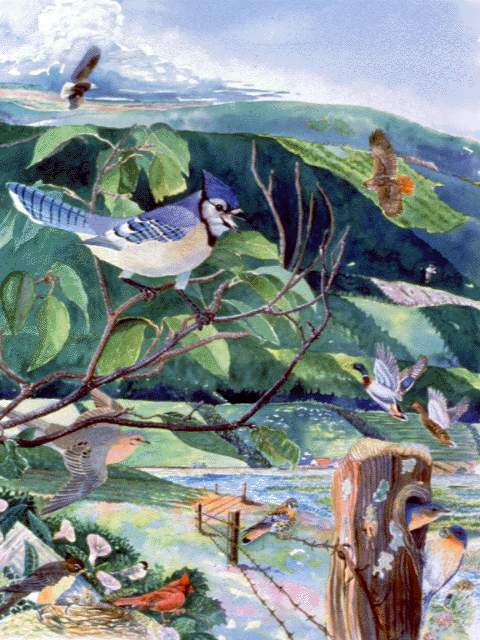 Bluebirds, bluejays, cardinals, robins, woodpeckers, little gray birds, little brown birds, gray & yellow birds, charcoal & white birds all mingling and singing. My immediate landscape was alive with colorfully feathered forms zooming in, flitting among the trees, and hopping around the grass. And singing! It was about as magical a scene as I’ve ever seen. I watched in awe, holding my cats up to the window to share the enchantment. After gracing us with an awesome show for about 15 minutes, our guests started disseminating. The finale was provided by the robins, who carpeted the lawn so completely (perhaps two or three hundred robins in the side yard), no grass could be seen between them! Incredible! Then they too departed, and my world returned to normal. What could have prompted this fantastic phenomenon? No answers… but it left me feeling touched by heaven in some way. 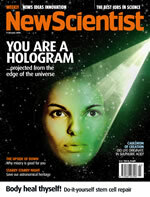 New Scientist is a formidable blast of a magazine — and website. If you’ve yet to discover this gold mine for the mind, one click will get you there. Bon voyage! Hats Off to Germany’s Pirate Party! This airport body-scanner atrocity really gets my gall. It is outrageous and wrong in so very many ways, it’s audacity and idiocy is almost laughable. I will STOP FLYING rather than be intrusively irradiated by this move to diminish our dignity and rights right down to THE BONE. I bow to these skin-bearing protesters in Germany. I only wish I could read what they’d written on the living canvas of their flesh. This is an event of great power. It is the first important event of this New Year, a year which, in and of itself is a year of great power, a year of great change, a year of great preparation for what awaits humanity at the end of 2012 and beyond. 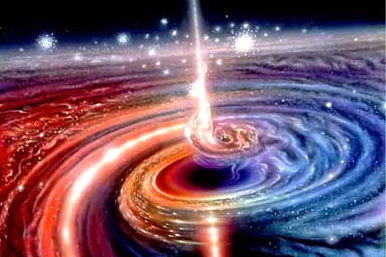 And so, as we have seen with so many events such as this over the last two years in particular, this gateway will be utilised to bring forth important new energies to assist in the preparation of humanity and the planet, so that all is in readiness for that event you know of as 2012. As you know, an event such as this, where you have a Solar Eclipse is a particularly powerful gateway; much more powerful than, for example, an ordinary new moon or indeed more powerful than an equinox or a solstice. 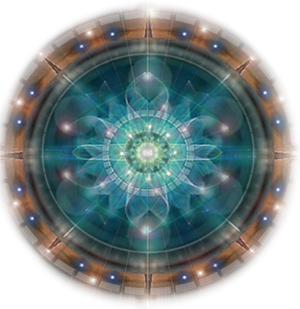 It is indeed a powerful gateway, a powerful event and there are other alignments which are also important in setting up the pattern, you could say, that is enabling the energies to come forth at this time, however we will not go into those other supporting alignments. Some astrologers have spoken about these other alignments and these can be searched out if it is of interest to the listener. However, what is important from our perspective is what these energies are about and what they will do to assist in the preparation that I have spoken of, and these particular energies open a new doorway for humanity. They begin the process in earnest that will unfold between this date and the end of 2012. They begin in earnest the steps that humanity needs to take to be ready. They begin in earnest the clearing of the control patterns that have been so thoroughly entrenched by the dark upon your planet; the control systems that have been in place to control finance, to control oil, to control energy of all sorts upon your planet; to in truth control the majority of the wealth which is available, the majority of the resources. All of that infrastructure will begin to unravel and unravel quickly as result of these energies. We mentioned with one of the earlier recent events that it would be like disconnecting such behaviours from the electrical grid, as if they no longer had power. Well, this event does even more than that. It adds a positive force for the, shall we say, destructuring of this power structure and the bringing forth of the knowledge and understanding and the spiritual underpinnings to the majority of humanity relating to what is unfolding at the end of 2012. These energies begin in earnest that preparation process. They give an enormous boost to the opening up of the processes that are required to prepare for that event you know as 2012. As we have spoken about before, there are three key steps that need to be undertaken. The first is to acknowledge your Creator. To acknowledge your Creator is the owner of the particles that have been used to create your soul. To acknowledge that the Creator has loaned those particles to you, has created your soul, you could say, and so you need to acknowledge this relationship. The second is to clear all of your negative karmic past energies and the third is to rejuvenate your physical body; and it is time for the evidence of how to go about this work to come forth in the world and then, on the basis of that evidence, for this work to begin in earnest. And these energies provide an enormous propulsion, you could say, for this work to begin. It is an enormous propulsion for this work to begin in earnest, and so I say to you, it will not be long before you see this evidence of rejuvenation be present in your midst. It will not be long and when it comes forth, the process of clearing your past karmic energies and beginning the process of rejuvenation for those of humanity that have chosen this path, it will all begin in earnest and with great speed. And so I cannot emphasise too strongly the power of this event to begin the extraordinary transformation which will occur upon your planet between now and the end of 2012, that appointment with destiny, you could say, that occurs at the solstice of December 2012. And make no mistake; there are many who are saying that that event at the end of the Mayan calendar, the timing of the ending of the Mayan calendar is but a general marker of this time. It is not marking a specific event, and if anyone has truly studied the Mayan calendar, they will know that that is a calendar that contains great accuracy. It continues to forecast such events as this one; that is, eclipses and of course the solstices and equinoxes. It continues to forecast these events with great accuracy and so its ending on that date is no accident. It, too, will be an extraordinary gateway, a gateway that will make events such as this one look like a Sunday school picnic, to use your vernacular. The power that will come through that gateway is unimaginable. It is not smeared out in time. It is an event that will occur over three days beginning on 21 December. It is not smeared out over time. It is very specific and very focused. That is the nature of these gateways and you will understand this if you have been listening to these messages for any length of time. So make no mistake, it is not a smeared out event as so many are saying. It is very focused and so is this event, this solar eclipse, this annular solar eclipse which is bringing forth such energy from your sun. Your sun is acting as the primary gateway, as I said assisted by other alignments in the cosmos. And so I suggest that you watch what unfolds in the coming future. Much will unfold as a result of these energies coming to your planet. And so it is. As a followup to the last post about vibrations affecting health… thought I’d offer this for your experimentation: it is 5+ minutes of a tone said to heal damaged DNA. We all have damaged DNA to some degree. Try it and let me know what you experience! Try it a few times in a row, maybe, for a more thorough ‘saturation.’ There’s more tonal experimentation where this came from, from JezebelDecibel on YouTube. further underscoring the healing power of love. As I’ve shared here before, I’ve recently moved from a major metropolis to an extremely rural location. Over the holidays I’ve received numerous inquiries along the lines of, have I been homesick? I have not been homesick, actually. I am making a new home and feeling I’ve made a fantastic move for this period in my life. So – homesick? No. But I have been sick sick. Since I’ve relocated I have been struck with an array of “medical emergencies,” none of which received medical attention. One of these was the accident I posted about in Spontaneous Healing. That was certainly an affirming experience, but what I’m referring to now are seemingly random and strange illnesses. I’ve been hit with all kinds of them since living here, and I’ve only been here two months. Beneath this whole lush valley I now call home lies a bedrock of quartz crystal; it’s this energy that attracted Robert Monroe to build his institute here in the first place. And my new community is consciously “awake,” in contrast to the harsh prevailing dog-eat-dog vibe in Chicago. Crystal is an energetic amplifier; I may well be getting energetically accelerated by living upon the very land here. Is the “sparkling spring water” I’m drinking stirring up “sediment”?? Hopefully this water isn’t carrying something my body isn’t taking kindly to — a turf war between local elementals and hard-core, city elementals??! I’m just ruminating here. After having been through years of kundalini, with all its gifts and challenges, I seem to be in a new round of something. Perhaps it’s a combination of my new environs and the accelerating energies on the planet in general that are ringing through my form. The new energies are likely broadcasting through the local crystal earth at high and strong frequencies, and through me by proximity. I do sense this health commotion is an energetically-sourced situation. It will clear in due course. Otherwise … I may just have to see the upcoming Light Show from a skybox on the other side. Not that I’m anticipating this scenario! I’ll adapt, as I always have. I enjoyed this ‘Akashic Report’ re: January so I’m sharing it here. Courtesy Jen Eramith. What energy and experiences can we expect in January 2010? Expansion. This month brings an expanding, new energy. While the energy is new, it will appear as an expansion of what you have already begun. You have been in a cycle – as humans you are always in a cycle. This is part of the cycle where you experience the expansion that comes after release. You may feel that release has occurred so everything is finally getting bigger. You may feel as if you can see everything from above and get new information on your own life this month. You will find that many truths come to the surface that were previously unclear. You could sense these things were true intuitively, and you had a feeling there was something going on. Finally you will find evidence for what you suspected, and you will find the picture coming together. Many of you will find a sense of relief this month but many, many, many of you will be overwhelmed — overwhelmed with new information, overwhelmed with the gravity of information or overwhelmed by the emotions that arise for you in regard to information. Be gentle and patient with yourselves. This is a time for observing what you feel and what occurs in your life. Look and learn. The primary energy this is month is a sense of expansion. This energy is reflected in the archetype of Jupiter or of the Mother Goddess. There is a sense of something that is big enough to hold you but also big enough to challenge you. This month brings an unusually high number of Spirit Guides, Angels, Enlightened Teachers and Masters into the world. It is like you, as a human race, have gone through your work and done what you needed to do to prepare to receive a much larger number of Spirit Guides and Loved Ones from the higher realms. Those of you who are sensitive to energy are going to find that you can feel like this world just got really crowded. Of course Spirit Beings do not take up any space, but you are likely to feel as if you are more surrounded than ever by Love and Light and the presence of Divine Beings who are here to help you. This is an excellent month for those of you who are interested in increasing your intuition to tune in and begin to sense the presence of Angels and other Divine Beings. Look for evidence of them in your lives. They indeed are all around you. Every single one of you is surrounded by Love. Their presence this month should be unmistakable. Even if you are not interested in pursuing that clairvoyance, know in your heart that, more than ever, you are supported by the most loving, tender, caring Beings you can imagine. This month may call for healing to be done as a result of the intensity of December and the expansion of January. Many of you are likely to have things arise that need to be healed. They may be physical, emotional or psychological. Some of you may even need a form of energetic healing. This is a very important time for you to take good care of your bodies and to support you immune systems. We refer to both your physical immune system inside your physical body, but also the social and energetic immune systems. These include ways that you mentally and emotionally discern what presence in your life is healthy and what presence is foreign and uninvited. It includes the way that you fight off or reject and create protection for yourselves around those unwanted presences. This is a very important time for you to be more mindful than ever about whom you spend time with. Ensure that you spend as much time as you can with those people and those experiences the feed your soul and that you bolster the spiritual or energetic immune system that helps you discern or notice danger and respond by walking away from the situation or by creating energetic protection for yourself. Wishing all an extraordinarily blessed, juicy & creative 2010! why not ‘energize’ them in our personal worlds?